Two resorts invested by real estate giant Sun Group were presented with top prizes at the 24th World Travel Awards (WTA) 2017 ceremony, held in Phu Quoc Island on December 10. The InterContinental Da Nang Sun Peninsula Resort set an unprecedented record in the history of WTA awards as it was honoured as the World's Leading Luxury Resort for the fourth consecutive time. Meanwhile, the JW Marriott Phu Quoc Emerald Bay Resort won the award for the World's Leading New Resort 2017. The two resorts received the highest votes from leading experts and top executives in the field of resort and hospitality from more than 140 countries and territories around the world. 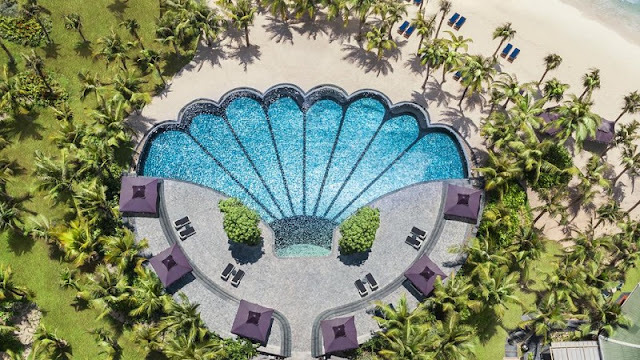 This year, InterContinental Da Nang Sun Peninsula Resort beat over 30 outstanding nominees for the award, including the Four Seasons Resort Dubai at Jumeirah Beach, Ritz Carlton Laguna Niguel, and Ayada Maldives. The number of contestants in the category was nearly three times higher than that of last year, making the Da Nang resort’s victory a resounding win. Its La Maison 1881restaurant was also presented with the World's Leading Fine Dining Hotel Restaurant award. The Harnn Heritage Spa at the Da Nang resort was crowned Asia's Best Resort Spa 2017 and Vietnam's Best Resort Spa 2017 at the event. Meanwhile, the Chanterelle - Spa by JW at JW Marriott Phu Quoc Emerald Bay Resort won the World's Best New Resort Spa 2017 award. WTA President and Founder, Graham Cooke, said that honouring a resort as the world's most luxurious for the fourth consecutive year is unprecedented event in the history of the WTA over the past 24 years. The InterContinental Da Nang Sun Peninsula Resort has set a record that is unlikely to break, even in the years to come. Dang Minh Truong, Vice Chairman of the Board of Directors and General Director of Sun Group, expressed his proud to win the top two awards of WTA – considered the “Oscar” of the global travel industry. He added that the awards would inspire Sun Group to continue to create high-class buildings that contribute to the development of Vietnam's tourism industry. Located at Son Tra Peninsula of Da Nang city, the InterContinental Da Nang Sun Peninsula Resort is a design of world famous architect Bill Bensley with 200 rooms featuring Vietnamese typical architectural and cultural values. The resort also successfully hosted the 2017 APEC Economic Leaders' Week last November, contributing to enhancing the status and image of Vietnam in the world. Opened in January 2017 on Phu Quoc - Vietnam's largest island, the JW Marriott Phu Quoc Emerald Bay Resort is another design by Bill Bensley, inspired by the legend of a fictional former university for French colonists - Lamarck University, with 240 rooms and villas, as well as interior decorations arranged as a miniature museum of more than 5,000 antiques from collected from 40 European countries by Bill Bensley. 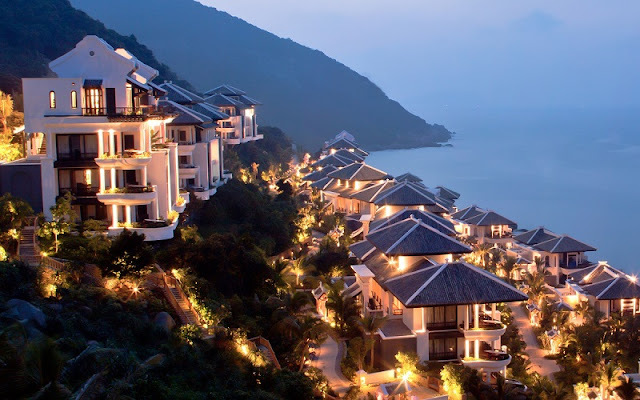 The two Vietnam’s resorts have won a range of outstanding international awards since beginning this year. Held annually, the WTA is considered the most prestigious, comprehensive and sought after awards program in the global travel and tourism industry.